I would suggest that this waterfall known as 'The Chute' at the end of Hancock Gorge in Karijini National Park is one of Western Australia's if not, Australia's most spectacular views. I have photographed is a number of times and every time I find it very difficult to walk away. It is just gorgeous. Getting an early start to be deep in the gorge at sunrise not only allowed me to be completely alone for a few hours but it also gives me the most beautiful glowing light that just fills the gorge with warmth. 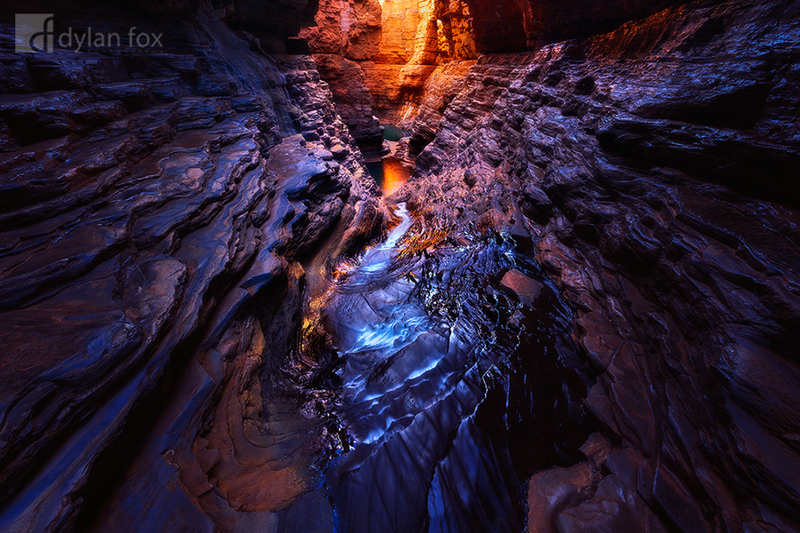 Karijini National Park is in Western Australia's Pilbara region. I spent 10 days on a solo camping trip to photograph the park. I still have plenty more there I want to explore and I am already looking forward to being back up there. Secure your limited edition, Karijini print, 'Angel's Landing', by selecting your desired print size in the menu to the right.